The official portraits of former President and First Lady Barack and Michelle Obama have finally been unveiled and they are outstanding. The former POTUS’ was painted by African-American artist Kehinde Wiley while Michelle Obama’s was brought to life by artist Amy Sherald. When the 44th President of the United States saw the gorgeous greyscale image of his wife, his reaction was absolutely everything. "Amy, I want to thank you for so spectacularly capturing the grace and beauty and intelligence and charm and hotness of the woman I love," President Obama said to the Baltimore-bassed painter who his wife selected for the portrait. Reacting to her own image, the Chicago native said she felt empowered by what the painting would represent for girls around the world, especially young girls of color who look like her. "They will see an image of someone who looks like them hanging on the walls of this great American institution ... And I know the kind of impact that will have on their lives because I was one of those girls," Mrs. Obama said. 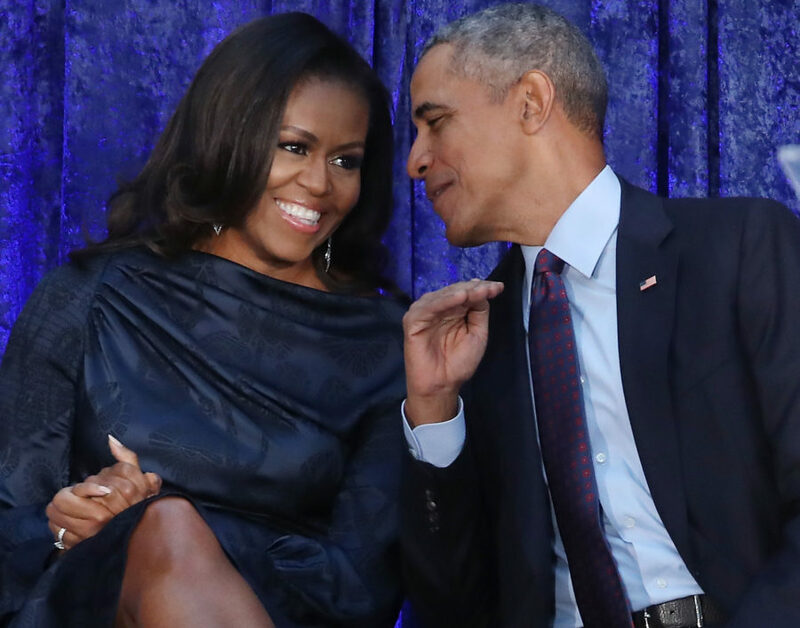 Mr. and Mrs. Obama’s paintings will hang in the National Portrait Gallery for public viewing starting on Feb. 13.